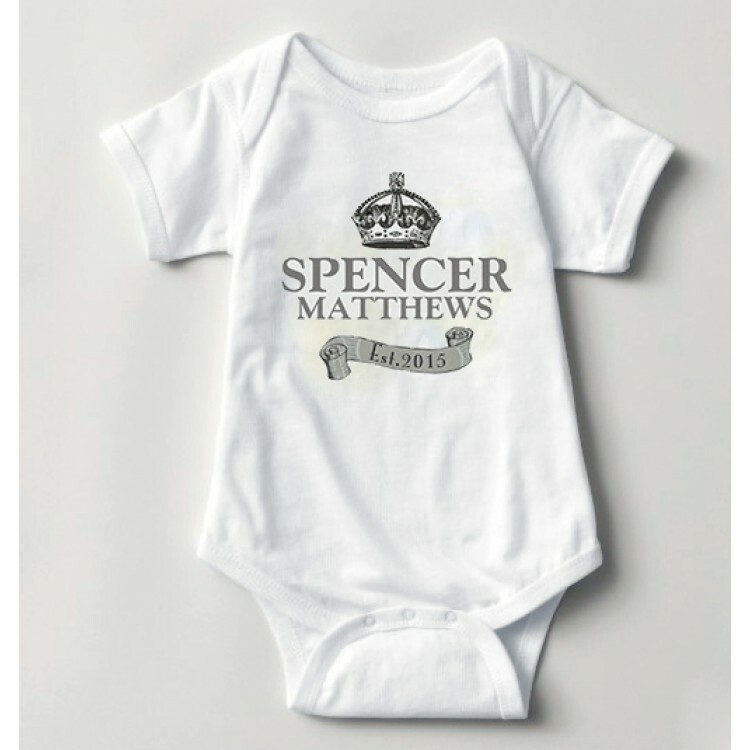 Featuring a Royal Crown this unique Baby Vest is just perfect for a VIP newborn! Personalise with baby's name together with year. Both lines of text will appear in upper case with the year appearing within the banner. Please include the word 'est.' if it is required. For instance you could include the baby's full name or 'PRINCE' OR 'PRINCESS' preceding the Christian name. The onesie vest is 100% cotton, machine washable and is sized 0-3 months.